Despite efforts by the government, mainstream lending levels remain depressed and many people are still struggling to find a loan just because they made a mistake – possibly as far back as six years ago. Thankfully, many other financial organisations are filling the void left by the banks and are helping thousands of people get access to finance – sometimes substantial sums of money. One of the fastest growing areas of lending to the sub-prime market is the secured loans sector. Secured loans are available to homeowners (those who either own their property outright or have an existing mortgage). Once you’ve been accepted for one of these loans, it will then be secured against your house. That means that your home is set against the loan and could, in extreme circumstances, be repossessed by the lender if you fail to keep up with the loan repayments or otherwise default on its terms and conditions. It’s sometimes difficult to find easy-to-understand advice about the credit market and secured loans are no difficult. Lurid scare stories and misinformation are enough to put anybody off but a lot of the articles you may have read contain errors and can be downright misleading. Fact: This is, in the most part, nonsense. While there may be a few unscrupulous lenders still operating out there, secured loans are usually much cheaper than unsecured credit including personal loans, payday loans and credit cards. That’s because when you apply for a secured loan, you are offering the lender the security of your house. It knows that should you fall seriously behind with repayments or default, it will always be able to recover the outstanding amount through the sale of your home. It sounds unpleasant but is not going to happen if you keep up with your payments and also means that you will have access to lower interest rates. Fact: Secure lending is as old as personal lending and many people use it to fund major purchases, particularly home improvements or debt consolidation. Many very financially astute people recognise that by using a secured or homeowner loan, they will actually be saving themselves money when compared with borrowing cash in other ways. The amount that you could save with this type of loan depends upon how much you borrow and the length of time you are taking out the loan for. 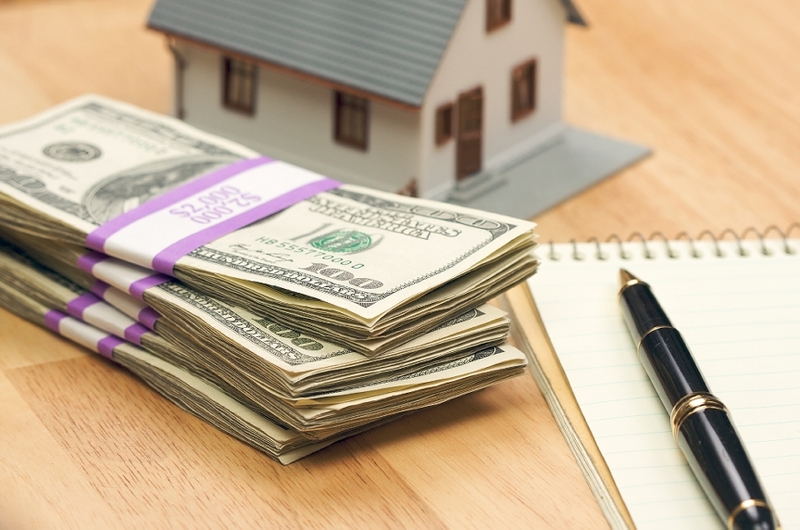 Fact: While there are, of course, instances where a lender has taken possession of a borrower’s property, the number of times this happens is, in fact, pretty rare. No lender wants to go down this route and will only use it as a last resort because it involves expense on its part, reams of paperwork and possible court action. If you get into difficulty with a secured loan, talk to the lender and keep talking to them. Most will be pleased to discuss your personal circumstances and come up with ways to avoid the last resort. But it’s important to alert a lender of problems as soon as you know about them. Fact: This is nonsense. Secured lending has been around for as long as any other forms of credit with Victorian financial institutions regularly insisting upon security before offering loans to new customers. In the days before the financial institutions came to rely upon credit reference agencies to base decisions upon, most banks and other lenders used security as a basis for lending. Fact: Nope. While there are always going to be unscrupulous operators in any sector, the lending markets are tightly governed by the Financial Conduct Authority. Terms and conditions, interest rates and other fees are all watched closely and most lenders operate to strict codes of practice. If a lender says that it is governed by the FCA, it usually a good indicator that you can trust it. Fact: There are a vast number of secured loans out there and the chances are that you will find one to suit your individual circumstances. Repayment terms vary considerably with some as short as a year and, yes, others stretching all the way out to 25 years. But there are plenty in between and, depending on the amount you borrow, you will usually find one that suits your budget. Fact: This is patently untrue. A secured loan is not like the mortgage you used to buy your house. That was to fund what is probably the biggest purchase you will ever make. A secured loan can be used for pretty much anything and so the sums on offer vary considerably from as little as £1,000 all the way up to £250,000 and, in some cases, more. Fact: This is another fallacy. So long as you carefully consider how much you need, plan your repayment schedule accordingly and then apply for the right loan for your circumstances, you will know exactly when you’ll be clear of the debt. Just remember to keep up with the repayments. Fact: Applying for a secured loan is actually not that different from applying for any other form of credit. All of the forms are usually online and most lenders will let you save you’re your application at any point during the process. All that is different with a secured loan is that the lender is going to want to be able to check that you are a homeowner. Fact: This isn’t a mortgage for a mansion that we’re talking about. You aren’t going to need a six-figure salary or large assets. The lender is simply going to want to know that you can afford the repayments comfortably and that there’s enough equity in your home to cover the total amount. Article provided by Mike James, an independent content writer in the financial sector – working alongside a selection of companies including technology-driven finance broker Solution Loans, who were consulted over the information contained in this piece.